Rangement Plus offers you custom-made storage systems to save on space. They are made out of sustainable quality material and fulfill your needs both on a practicle and aesthetic level. From conception to installation, our team of experts offers you reliability, speed and professionalism. Our specialists in storage system will go to your domicile for a free estimate. Since then, they work on your side to maximise your places of life. Wether high-range furniture or mesh shelves, we find the solution to maximize the storage for your walk-in closet, wardrobe, pantry, laundry room, playroom, garage and wall unit. Make room for your style! 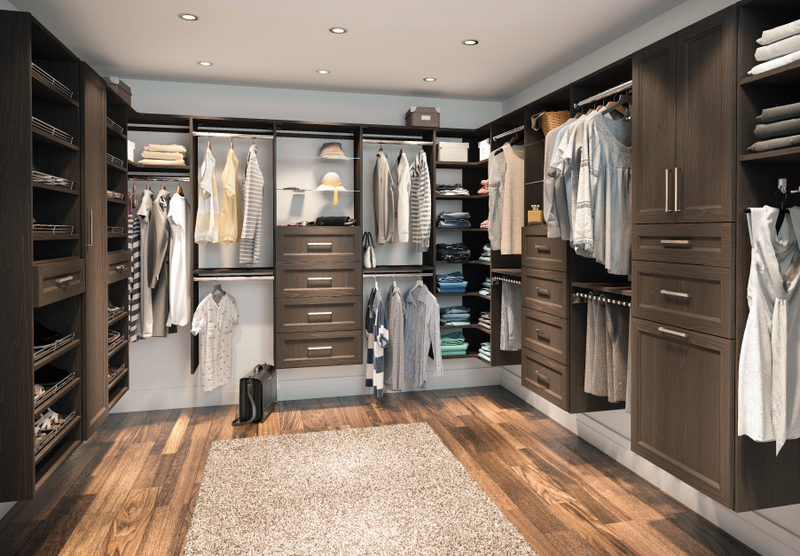 Our experts in storage system planning will determine the optimal storage system for your walk-in closet, wardrobe, pantry, laundry room, playroom, garage, wall unit not to mention our various accessories.